From time to time, an album comes along that doesn’t just confound expectations, but actually goes so far as to widen one’s understanding of what music is capable of being. Scott Walker’s The Drift (which recently turned five years old) is, for me, the most memorable example of that; the most recent, released three months ago, is Anthropomorphic, from The Mount Fuji Doomjazz Corporation, the live performance configuration of The Kilimanjaro Darkjazz Ensemble. If you’ve not heard of them, and/or if the word ‘jazz’ in those titles puts you off, have no fear. In their original Kilimanjaro guise, stylistic mannerisms such as the muted trombone and double bass action raise the superficial spectre of jazz without its substance. As Mount Fuji, barely a trace remains; if anything, it’s almost like a palimpsest of jazz, over which multiple layers of obtuse musings have accumulated, and that’s particularly true of Anthropomorphic. Put together from three separate live performances (in, respectively, Utrecht, Wroclaw and Moscow), it is a single, hour-long piece divided into four equal sections, given the headings “Space”, “Dimension”, “Form” and “Function”. Despite its 15-minute duration, the first part is something of an overture. Soft and calm at first, “Space” opens with a trombone making shapes while a guitar ebbs elsewhere. A few minutes in, an ultra-deep bass throb begins—more felt than heard—gently unsettling everything, and perhaps indirectly initiating all that follows. Five more minutes pass in relative quietude, the guitar gradually easing out of the shadows, after which some threatening electronic stabs briefly but brutally interrupt the flow. The trombone’s soliloquy splits in response, and its duties are continued by a new voice in the texture: a sliding sine tone (at first sounding like a bending trombone note); it starts an acrobatic counterpoint to the previous material, causing a series of aggressive, industrial surges beneath, increasingly electronic in tone. “Space” culminates in a focused, forceful drone, the trombone joining in, buzzing and spitting on its surface. “Dimension” continues, the trombone remaining fixed by the drone, now growling and tonguing rapidly on and around it, trying to make a break for something melodic. Against this, the brooding electronics—still droning but accumulating assorted bands of noise—have been slowly creeping towards the foreground. 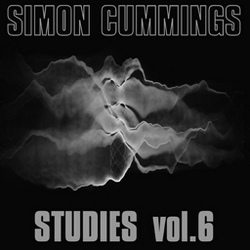 As soon as the trombone pauses, another sine tone entity is launched, earlier than in the previous section and to far more forceful effect here, its opening salvo rising quickly, soaring back and forth up to infeasible, piercing heights, like an ondes Martenot player on crack, whereupon it evolves, shuddering, into an ominous series of glowering oscillations. It’s the start of an extended episode of sheer delerium in which the omnipresent drone is the only point of continuity; the trombone’s return, in a staggeringly high register, is oppressed and terrified, and later becomes a kind of half-stifled sobbing. Only slowly does the surrounding music draw back, affording the trombone a little more space and allowing some contributions from the heavily reverb-drenched guitar to bleed through. Eventually, the background textures begin to inch forward again, and the track’s final gesture—a first utterance from the cello: a wild, arching glissando—is astonishing, an unfettered keening that establishes the tone and direction for the third part and emotional epicentre of the album, “Form”. While the guitar continues to strum far away, the cello is joined by a violin in a wild act of apostrophe, a draining duet as from the midst of a holocaust. Everywhere around them is a dense, rumbling carpet of bass rubble, making their twin melodic strands desperate, an almost implausible attempt at song in a destroyed world. Indeed, at times the attempt breaks down, the players resorting to repeated pizzicato notes in a slightly unhinged effort to keep going. An assortment of hard-to-identify contributors accompany them now and again, not so much forming a chorus as making the totality of sounds more dense and impenetrable. The guitar, now heavily-processed, takes prominence around halfway through, slicing through the textures like razor wire. The tension throughout this movement is remarkable, becoming almost more apparent after the event, the clouds parting suddenly towards the end, revealing violin and cello continuing their lament—or are they by now, one wonders, simply simultaneous monologues? The final part, “Function”, begins in a harsh morass of elements. Out of this, the cello can be heard, murmuring in the middle-distance, almost as though playing to itself. But in no time, the seemingly benign background texture takes over, becoming like vast surrounding walls growing ever larger, glowing red hot and spitting sparks. More minutes pass until there’s another abrupt cessation of hostilities, everything reduced to a mere murmur behind an extended, highly eloquent violin episode, aching with melancholia. The underlay never stays still though, evolving a lattice of half-glimpsed sounds and snippets (in which voices feature prominently). From some impossible distance the trombone calls, once again muted, the violin taking a step back, hovering on tremolandi. It leads to a dramatic and disturbing conclusion: a final, disjointed stab at melody from the trombone as the earth seems to be tilting beneath, answered by a weird kind of exhausted chorale, abruptly silenced. 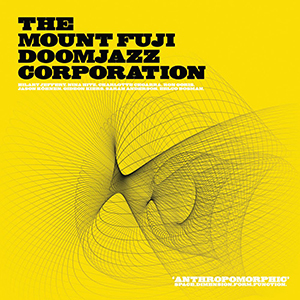 The Mount Fuji Doomjazz Corporation haven’t just followed up on the success of their earlier releases; this is no mere extension or development, but a groundbreaking leap forward into the very heart of the avant-garde. It’s perhaps fitting to appraise this album in the wake of a weekend that did not, in fact, usher in the start of the Apocalypse; Anthropomorphic is nothing less than a dystopian masterpiece, a reverie for the end of the world. It’s a superlative achievement, an incredible record of what is surely one of the most breathlessly talented groups of musicians working today. And it works on every level, satisfying the intellect over and over with its carefully-considered structure and perfect placing of elements, and speaking very directly to the emotions with—especially in “Form”—some of the most truly candid, intensely moving music i’ve ever heard. It’s flawless; if anything better than this is released in 2011, it will be miraculous. If you only buy one album this year, make it this one. Anthropomorphic is available in both physical (vinyl and CD) and digital editions. 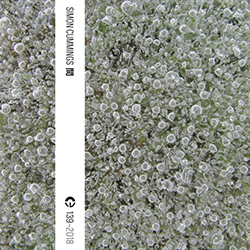 Of these, the CD is the most preferable, containing just a single hour-long track; the vinyl edition divides the piece over two 12-inch records, while the digital edition divides the piece into four tracks, but with inexplicably audible joins, brief but all-too-noticeable fades in/out afflicting the start/end of each track. The album can be streamed in its entirety from the group’s Bandcamp page, here; both physical editions can be ordered from the Denovali label, here. Go for it, Duck – and i hope you like it as much as i did! Anti-Spam Quiz: The Mount Fuji Doomjazz what?